After a few leaks, it’s now official! 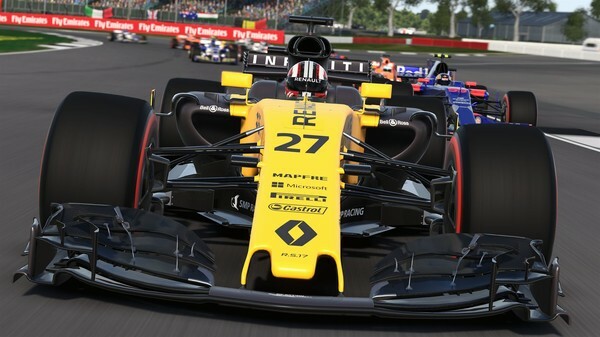 F1 2017 [Steam, Feral Mini-site] is coming to Linux and Feral Interactive are porting it. The plan is to release it on November 2nd (Thursday next week!). Back in August, we had the official F1 Twitter account claim there was a “delay” with the Mac & Linux versions, it then popped up on SteamDB and finally we’re here with the official confirmation. This was the game for their "ONE RETURN TO WEST NORWOOD, PLEASE" teaser that was initially just "WEST NORWOOD". It then vanished, returned and now it's official! On November 2nd, by popular demand, FORMULA ONE™ returns to Linux with F1™ 2017. It's interesting to note that they specifically say "by popular demand". I'm not going to say that actually requesting titles always works, but it certainly can have an impact. The game is being powered by the Vulkan API, as confirmed by Feral Interactive in another tweet. This will be their third Linux game to use Vulkan! On top of that, according to the Feral Store, it will also feature cross-platform online multiplayer with Mac and Windows! I should have a review and port report up on the day of release, as usual for all major titles. Exciting, since most people I imagine would have written off getting another F1 game on Linux, since F1 2015 didn’t sell well enough for a Linux port of F1 2016. I think it’s great that Feral Interactive are willing to test the waters again, but it’s looking like a safe bet since the reviews are showing it to be a rather decent game. We now have a few quality racing games, but not quite enough just yet. I feel that more like this is essential for the growth of Linux as a gaming platform. I couldn’t be happier about this news! I spent many days on end playing F1 games on the Amiga when I was younger, so a decent one on Linux is going to be awesome. Good stuff Feral, more like this please! I shall be treating myself to an extra coffee today for this news. I know, pushing the boat out right. Will you be buying a copy? Let us know what you think in the comments. Article updated after publishing with new information. Will buy without any doubt but not right way, Its more likely that I acquire it in December due to being short on money and the lack of time lately. Edmene Will buy without any doubt but not right way, Its more likely that I acquire it in December due to being short on money and the lack of time lately. Yeeeeeeeeees. Automatic purchase on release! Hell yes will i buy this! Thanks, Feral! My kids will have a lot of fun with this ;-) I will buy this straight away from Feral's store. Very cool, yes, will certainly buy this one on day one!